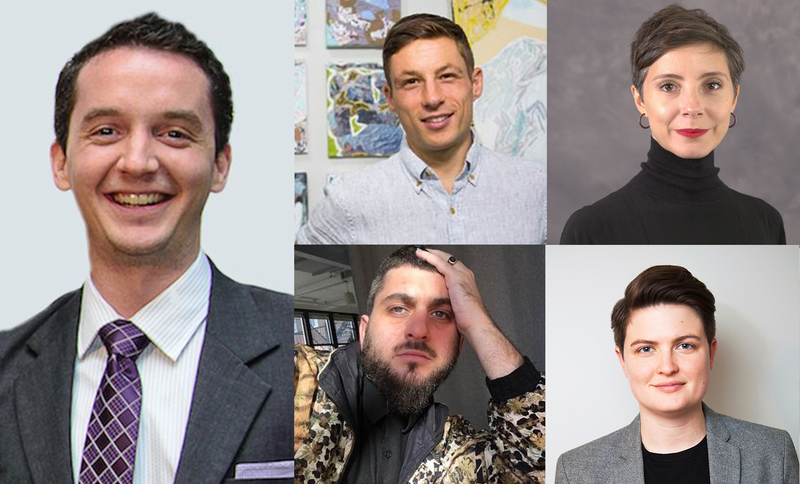 A conversation moderated by NURTUREart's William Penrose on the opportunities, community, and process driving the current open call system for residencies, fellowships, and exhibition opportunities. Clockwise from left: William Penrose, Will Hutnick, Eriola Pira, Phoenix Lindsey-Hall, and Jesse Firestone. A conversation moderated by NURTUREart's William Penrose on the opportunities, community, and process driving the current open call system for residencies, fellowships, and exhibition opportunities. The panel will include curators and arts administrators, including BRIC's Assistant Curator Jenny Gerow, Jesse Firestone (Trestle Gallery/The Shed), Will Hutnick (Ortega y Gasset Projects/Wassaic Project), and Curator Eriola Pira (The Vera List Center for Art and Politics), along with artist Phoenix Lindsey-Hall (PowerHouse). This program is taking place in conjunction with the BRIC Biennial: Volume III, South Brooklyn Edition.